Tenerife Villas Online offers this new build semi detached 3 bedroom property that is situated in the beautiful area of El Madronal, Costa Adeje and close to the fabulous award winning Siam park and Costa Adeje golf course. This villa is situated on 3 levels and is manufactured with a modern feel with marble flooring throughout. You enter the villa from the road level and up about 12 steps to the ground floor level of the villa. The stylish lounge/diner consists of a corner suite sofa and a 42 inch flatscreen TV. The dining area has table and chairs for 6 guests with patio doors leading out onto the pool terrace. The kitchen area contains: oven/hob, fridge/freezer, microwave, toaster, kettle, fitted with lovely granite work surfaces plus everything you would need in a sophisticated home and there is a door leading to the outside of the villa. You will also find a WC on this level. The utility room is situated on the lower level of the villa which has a washing machine plus a garage with private parking available. On the upper level you will find all bedrooms, remaining bathrooms and all 3 bedrooms have fans available and wardrobe space. The 7th guest will sleep on a fold away bed. The stunning exterior of the villa has a 6 x 3 heated pool and stunning view of the mountains. 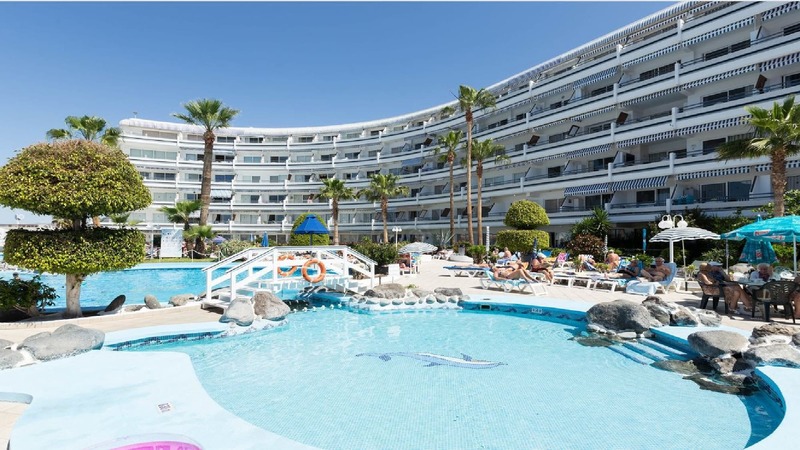 Surrounding the pool are plenty of sun loungers for relaxing and on the other side of the terrace is a outside dining table and an outside seating areas with a large parasol for shade plus BBQ. This beautiful unusual villa is everything you want for that Tenerife holiday and is very good value for money. This villa is located in the very popular beautiful area of Costa Adeje, only 800 meters from the huge Gran Sur shopping centre. There are two cafe bars and one supermarket just 200 meters from the villa. Bus services and taxis are available on the street on the corner where the cafe and supermarkets are. 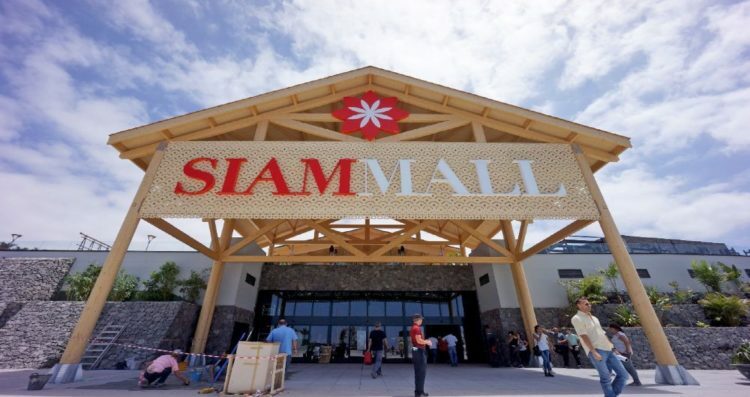 The Gran Sur shopping centre (centro commercial) has many shops, a large supermarket, bars, restaurants, banks, cinema and plenty of other amenities. 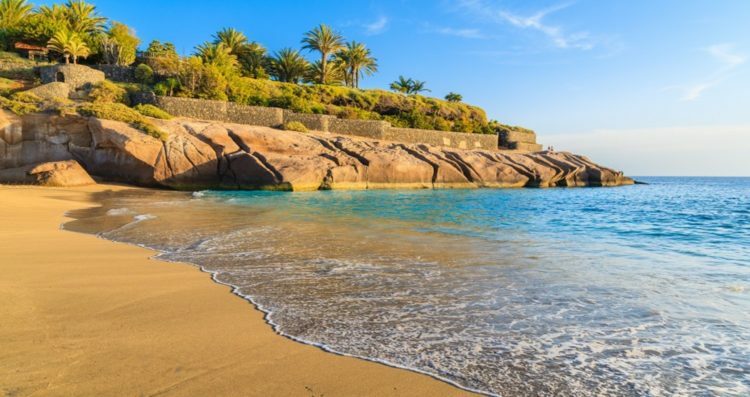 The nearest beaches are Playa Del Duque, Fanabe and Puerto Colon all within 1.5 – 2 km of the property. Here you will find various activities available with numerous bars & restaurants, shops and arcades and plenty of other activities for you to explore. 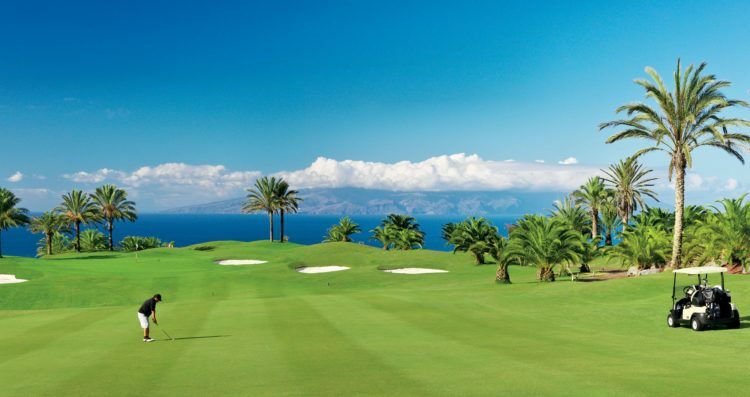 This is one of the most favoured destination for holiday makers in Tenerife. 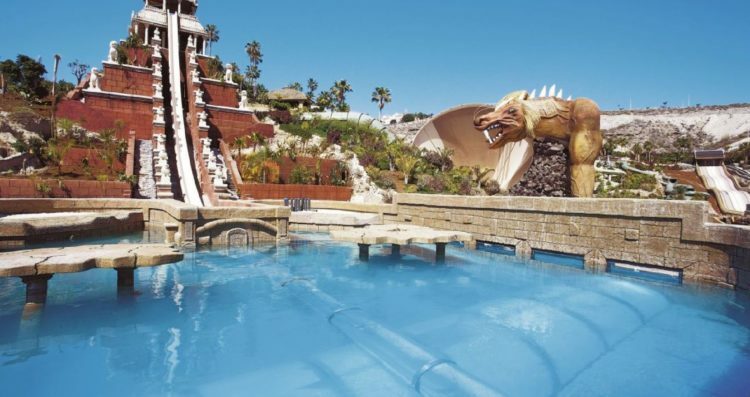 Siam Water Park is approx 2.5 km from the villa. The price quoted below is for 7 guests plus infant. Due to high demand please add additional £100 per week for all school half term weeks and £200 for Easter weeks. We had a great time the villa was in immaculate condition. Well maintained and very clean. 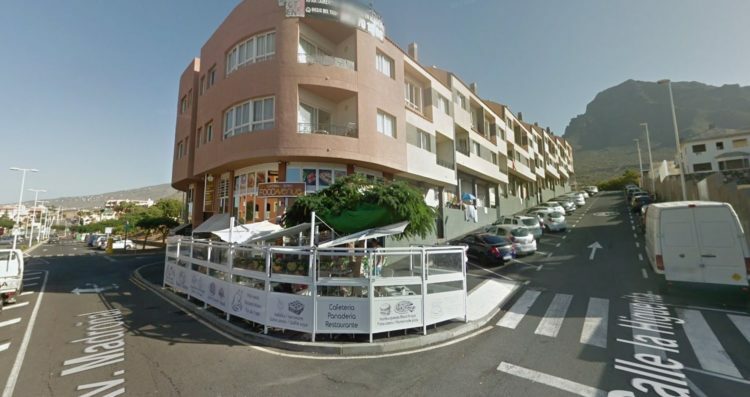 Only 700 - 800 meters to the gran sur shopping centre where you have everything bars, restaurants and many shops. When booking this villa we thought we was going to be too far from the beach but we was surprised how close it was, roughly 1.3 - 1.4 km from the villa. There is even a small supermarket and cafe right on your doorstep. The interior of the villa is to a very high standard the photos don't do it justice. The pool was surprising big when we turned up, I think the photos make it look smaller then it is. The large shaded area really came in handy especially when you wanted to have lunch sitting out by the pool area. Thank you for a great holiday and we are already enquiring for next January!! Villa excellent, our family loved it and our 2 grandchildren made good use of the pool which was lovely and warm. We liked the villa so much we have booked it again for next year. Thank you for a wonderful stay the villa was just as described, we were very surprised about how close everything was, Gran Sur shopping center has everything you need !! only 800 meters from villa. Thanks once again for a great stay and service. A very spacious and clean villa with helpful and friendly people. The pool was so refreshing and fun for all the family. The outside area also had shaded areas and a table for eating. The villa location was great, in a quiet area which was only about a 10-15 minute walk to the large shopping area which included a big supermarket. The main beach area was easy to reach either by walking or using the local taxis. Any queries that we had were answered immediately and with an extremely friendly attitude. Would definitely go back as had a fantastic time. Villa was very clean and had most utensils! 20 minute walk to beach but there is a small supermarket, cafe and pub / restaurant very close by - a 3 minute walk. Date of stay: October 2018 Villa was very clean and had most utensils! 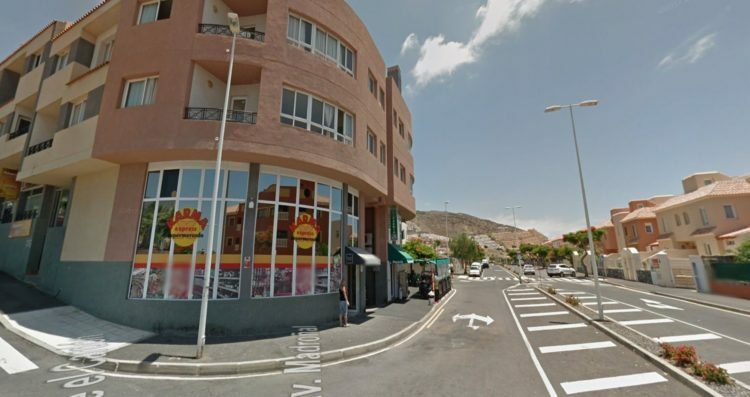 20 minute walk to beach but there is a small supermarket, cafe and pub / restaurant very close by - a 3 minute walk. Date of stay: July 2018 A very spacious and clean villa with helpful and friendly people. The pool was so refreshing and fun for all the family. The outside area also had shaded areas and a table for eating. The villa location was great, in a quiet area which was only about a 10-15 minute walk to the large shopping area which included a big supermarket. 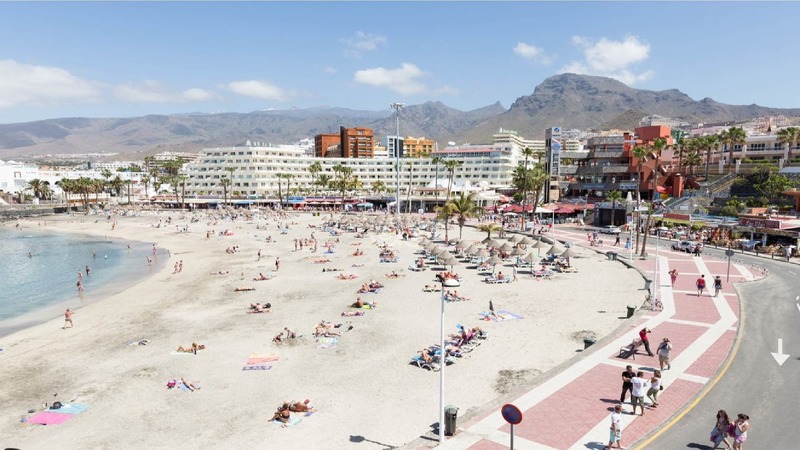 The main beach area was easy to reach either by walking or using the local taxis. Any queries that we had were answered immediately and with an extremely friendly attitude. Would definitely go back as had a fantastic time. Date of stay: December 2017 We had a great time the villa was in immaculate condition. Well maintained and very clean. 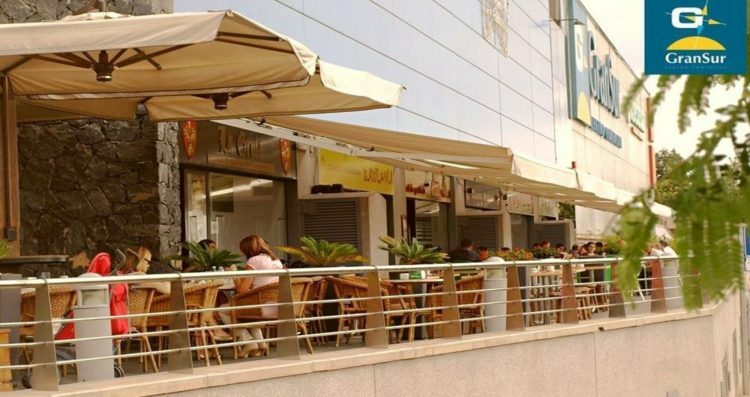 Only 700 - 800 meters to the gran sur shopping centre where you have everything bars, restaurants and many shops. When booking this villa we thought we was going to be too far from the beach but we was surprised how close it was, roughly 1.3 - 1.4 km from the villa. There is even a small supermarket and cafe right on your doorstep. The interior of the villa is to a very high standard the photos don't do it justice. The pool was surprising big when we turned up, I think the photos make it look smaller then it is. The large shaded area really came in handy especially when you wanted to have lunch sitting out by the pool area. Thank you for a great holiday and we are already enquiring for next January!! Date of stay: August 2017 Thank you for a wonderful stay the villa was just as described, we were very surprised about how close everything was, Gran Sur shopping center has everything you need !! only 800 meters from villa. Thanks once again for a great stay and service.